What a gorgeous outfit! I love those shorts, especially with the tights! Such a perfect fall look! i want those shorts. they are so amazing. This outfit it soooo very amazing. 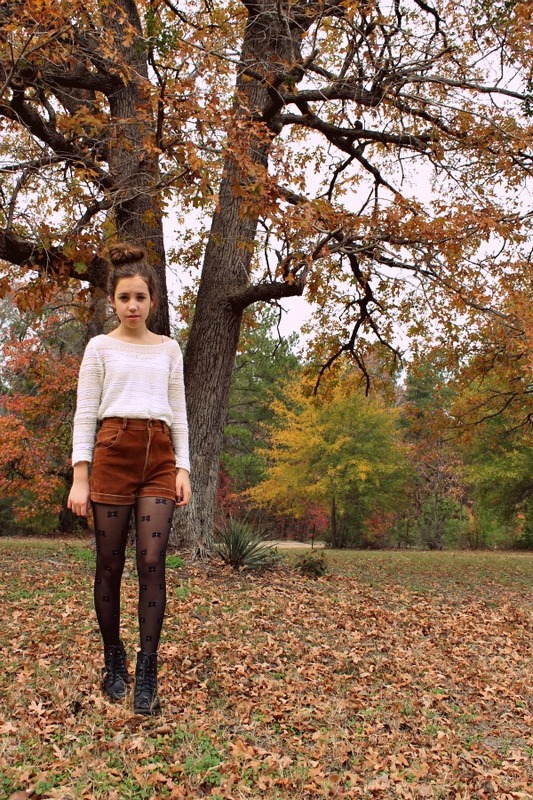 The tights, shorts and sweater are all so lovely! You look so adorable! Love those thights! You are gorgeous dear!!! I really m crazy about such tights.. n the blouse..
Ha! I know about the Target $1 section! Great post as always--love the Autumn colors!! Gorgeous pictures, the scenery is beautiful! Thanks for the lovely comment you left me. It's a pleasure to meet you. What a pretty blog you have! We have the same taste in boots! I have 3 or 4 pair of black tie ups. Love em! Now following and can't wait to check your site out more when I have more time. Have a great weekend my new friend! What a perfect outfit for fall! Love the brown shorts lots! 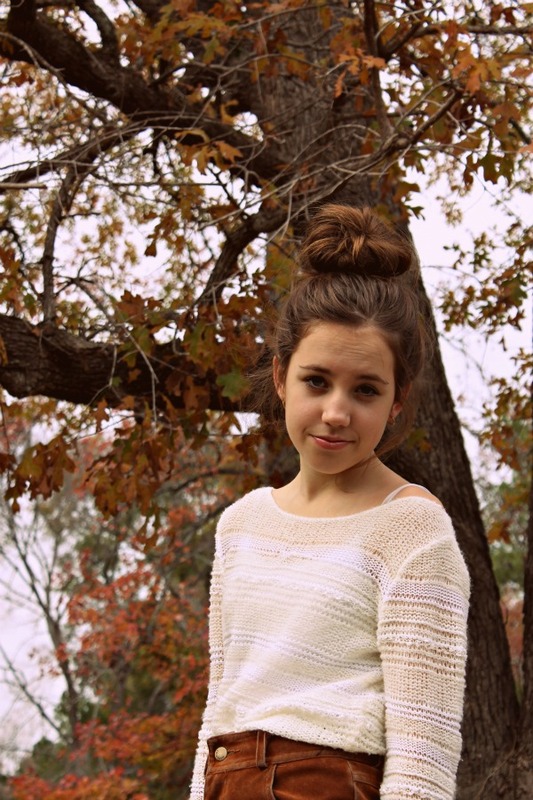 And u look really cute with this messy bun! You have fantastic style! 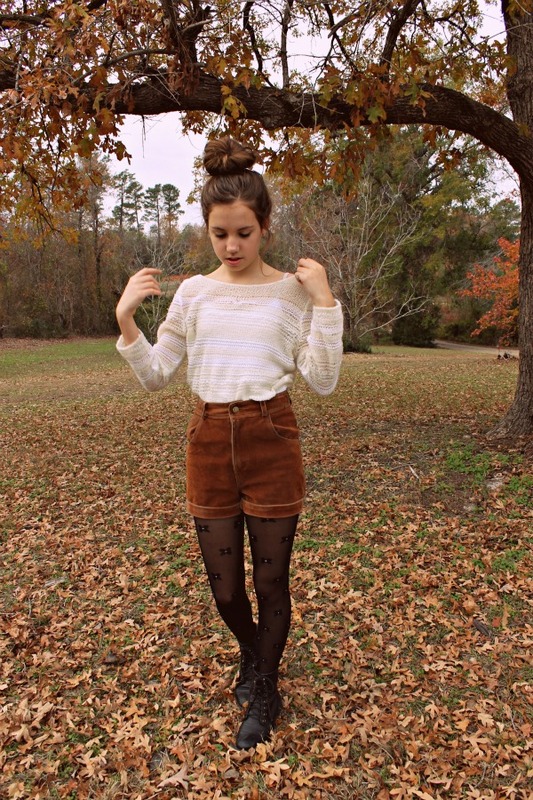 I love the textures of your sweater and shorts! Hello gorgeous girl! Thank you for your lovely comment on our blog! Hi sweety, you have such lovely style, your tights are so cute. And the hairstyle suits you beautifully. I love this outfit too! you have a lovely blog! cute bun. and outfit:) i love your blog! !